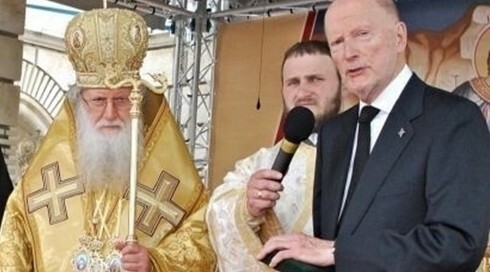 Bulgaria’s former monarch and former prime minister Simeon Saxe-Coburg has written to the Bulgarian Orthodox Church’s governing body the Holy Synod asking it to reconsider its decision to include a reference to him in liturgies as “king of the Bulgarians”. Saxe-Coburg said that the Synod’s decision, although forcibly opposed by atheist powers and while it did not in any way jeopardise Bulgaria’s constitutional order, had prompted “biased interpretations, ugly and pathetic suggestions and speculation that has brought confusion among the public and even in the eyes of the church governors. The letter was posted on the website of the Holy Synod on May 9, under the title, “Letter from His Majesty King Simeon II to His Beatitude Bulgarian Patriarch Neofit”. Saxe-Coburg became king of Bulgaria in 1943 on the death of his father, Boris III. The first years of communist rule saw a 1946 national referendum which produced a 97 per cent vote to abolish the monarchy. Saxe-Coburg and members of his family spent ensuing decades in exile. Some years after the end of communism, and with a new democratic constitution for the country, approved by a Grand National Assembly in 1991 that made no mention of a monarchy (Bulgaria’s head of state is a popularly-elected President with a two-term limit), Saxe-Coburg returned to Bulgaria, and in 2001 was elected prime minister at the head of a party named after him. His party’s fortunes diminished sharply in the 2005 elections and entered a socialist-led tripartite coalition that lasted until regular elections in 2009 that saw it vanquished by a centre-right party led by Boiko Borissov. Saxe-Coburg stepped down as party leader as voters dismissed his party in elections. The decision by the Bulgarian Orthodox Church in May 2015 sparked national controversy, with press criticism that the church appeared to think that Bulgaria had two heads of state, while leading academics also have come forward to publicly slam the church’s decision. As controversy deepened, two metropolitans – as such, members of the Holy Synod – publicly distanced themselves from the decision, while the move also was sharply criticised by head of state President Rossen Plevneliev and a former president, Georgi Purvanov. Saxe-Coburg, in his letter to Neofit and the Synod, thanked the church’s governing body for its unanimous decision to renew the old tradition of mentioning the monarch in public prayers and for the high honour conferred on him by the church the previous week. He wrote of his anointing by the Holy Synod and how, on the day of his confirmation, he had taken the oath laid down in Bulgaria’s 19th century Turnovo Constitution to always serve his people. “These words were confirmed and sworn in 2001 in the presence of your predecessor of blessed memory Patriarch Maxim to the National Assembly in another capacity – as a democratically-elected prime minister according to the Constitution of the Republic of Bulgaria in 1991,” he said. Noting the controversy, he asked the church to reconsider its decision.